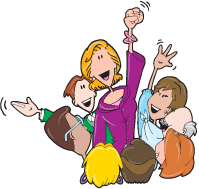 Kagan's FREE Articles - My Teachers Attended Training: Now What? My Teachers Attended Training: Now What? As a school principal, I remember asking myself this same question: "My Teachers attended training: Now what? " I knew low student engagement was a key factor in my students' poor academic performance. I was excited to have all my teachers trained in Kagan's Cooperative Learning structures for engagement, but I was completely unsure how to effectively support my teachers as they began to implement the strategies. Presently, as a Kagan Trainer and Coach, I have visited hundreds of schools and encountered leaders across the nation struggling with the same dilemma. The result is the following—a "Top Five" list of things I think need to be done in order to get the ball rolling. 1. Explain how Kagan Cooperative Learning connects to the school improvement goal. School leaders must be able to clearly articulate how the use of Kagan Cooperative Learning strategies helps to fulfill the school improvement vision. Teachers have a lot on their plates. Curriculum standards continue to be raised, and public opinion often expects teachers to do more with less. It is essential, therefore, that teachers understand Cooperative Learning is a how rather than another what. Programs and products tend to come and go, passing from one fad to another. It is easy for teachers to fall into the mindset that their new training is "just one more thing" and that "this too shall pass." Purposefully organizing student interaction, however, is timeless and Kagan Structures are easy to use. Making the connection between Cooperative Learning and school improvement will help to narrow everyone's focus; keeping the message front and center will help to provide momentum. Schools do not operate in a vacuum. In order to maintain a healthy relationship with the community, be proactive and draft an informational newsletter to distribute to parents. Work to educate the parents of your students about Kagan Cooperative Learning—what it is, how it will be used in the classroom, and what it will mean for their children. Click here to download a parent letter home that you can modify as part of your parent communication. 3. 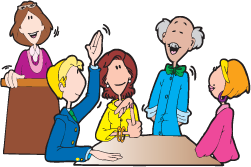 Model and use Kagan Cooperative Learning Structures in faculty meetings. A popular leadership slogan is "be what you want to see," and it holds true for the use of Kagan Cooperative Learning structures for engagement. We cannot ask our teachers to engage students at higher levels in their classrooms, then continue to conduct traditional-styled faculty meetings where they are expected to sit passively and receive information. Examine your meeting agendas and select a discussion item where you can insert a Kagan Cooperative Learning structure to facilitate engagement. This is the same process we encourage teachers to use when they are trying to get started, so you will be modeling exactly what they are being asked to do. Once you gain some confidence in your expertise with using structures, try having a colleague give you feedback about your performance. I asked one of the teachers to critique me during a faculty meeting and give me pointers for improvement in the moment. She tactfully pointed out that I was rushing through think time and gave me an easy tip for slowing myself down. I was able to put her advice into effect immediately, and everyone noticed the difference it made. Talk about authentic leadership! I showed I was willing to learn right along with them, and that effective implementation was going to take practice. I think it was one of the best things I ever did! 4. Set an expectation for implementation. Decide how long teachers have to make the change, and what you are going to do to help them through the process. Is the use of Cooperative Learning going to be optional? You made a significant investment by getting your teachers trained, so go ahead and develop a series of benchmarks, and celebrate attaining them to keep the momentum going. Change takes time, and the journey is longer for some than others. There are resources available to you such as the Early Indicators for Implementation checklist and the Cooperative Learning Implementation rubrics, but also think through the other kinds of resources available to you. Have you considered scheduling a day of Kagan Coaching? Supporting your teachers as they practice using the structures is a tremendous way to boost their skills and jumpstart the implementation process. The Kagan Coaching model provides in-the-moment supportive feedback for teachers, but I also found it a helpful tool to set the bar for their accountability. Investing in a day of coaching is roughly equivalent to the expense of a day of training, yet the long term pay-off is priceless! 5. Stay ahead of the learning curve. The most influential mentor I ever had challenged me by setting the expectation that I needed to "know everything my teachers knew…and more." His reasoning behind this was the premise that a truly effective school leader must be well-informed in order to be prepared to answer teachers' questions and keep the school vision clearly defined. The team at Kagan Professional Development is continually creating new courses in order to meet teachers' needs, and they are now working to meet the needs of school leaders as well. Once you have attended all five days of Kagan Cooperative Learning, Level I, consider attending the two-day Kagan Coaching training. It will be offered in January 2016 at the Dallas Winter Academy, in February 2016 at the Las Vegas Winter Academy, and in July 2016 at the Summer Academy held at Walt Disney World® in Orlando. 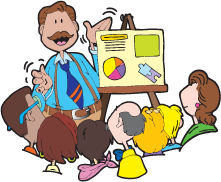 This training will hone your "PIES lenses" and help you clearly identify whether the activities occurring in the classroom are cooperative learning or group work. Two other courses are available at the Summer Academy. Cooperative Meetings is another two-day training that will give you a completely different set of tools to engage your teachers. Of all the courses I have attended, I credit the Cooperative Meetings training as the single most impactful for how I ran my faculty and parent meetings... which ,in turn, impacted how I ran the school. The crown jewel in our Summer Academy administrative training line-up, though, is the Leadership Institute. This five-day course will not only improve your understanding of cooperative learning, it will help you craft your leadership vision and get you started in developing systems for long-term implementation of any school improvement initiative. Ultimately, what do you need to do to support your teachers as they begin to use Kagan Cooperative Learning Structures for engagement? Begin the conversation, shine a light on the path, be patient. But start now.